Right click and save this image to make it your profile picture on social media. 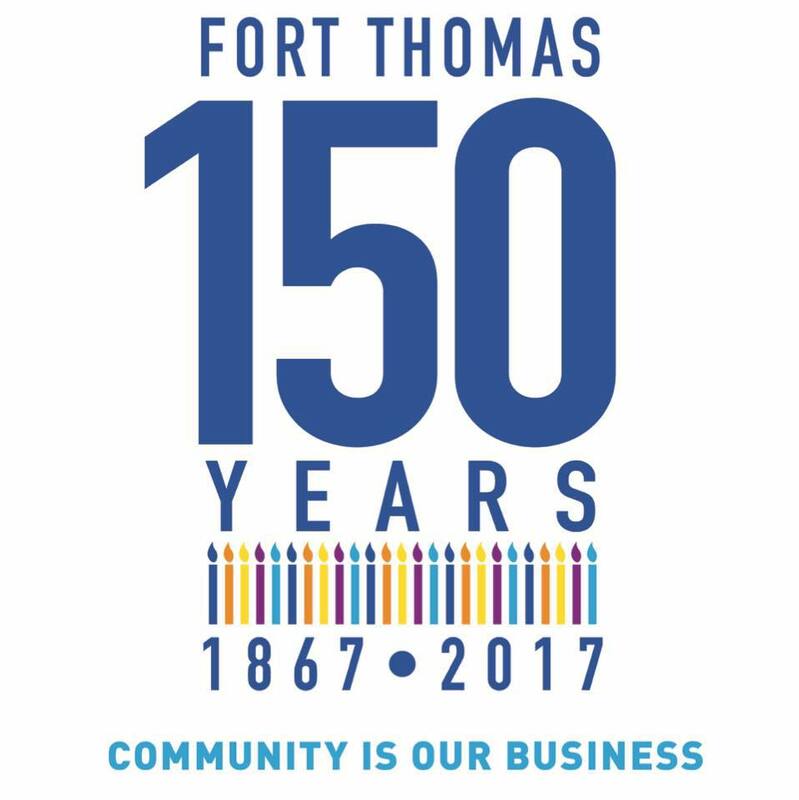 On Monday, February 27 2017 Fort Thomas turned 150. The image (above) began circulating throughout social media. "We are inviting everyone who has an interest in Fort Thomas to change their social profile picture and cover photo as a way to kick off the weeklong celebration of the city turning 150 in July," said Erika Kraus, co-owner of The Midway Cafe and part of the 150 Marketing Committee. During the week of July 2, the city is going to celebrate in a big way. There will be events everyday starting with a white on white, farm to fork dinner hosted outside at Tower Park. There will be a large concert featuring a headlining musical act. There will be much coverage on the week's events. Filmmaker, Emad Rashidi (@emadrashidi) created a video to commemorate the story of Fort Thomas. "We were excited to work with filmmaker Emad Rashidi from Self Diploma to help tell the story for our 150th. I think the message of "Community is our business" really comes through with the footage," said Brian Sand, Renaissance Board Chair and member of the 150 Marketing Committee.